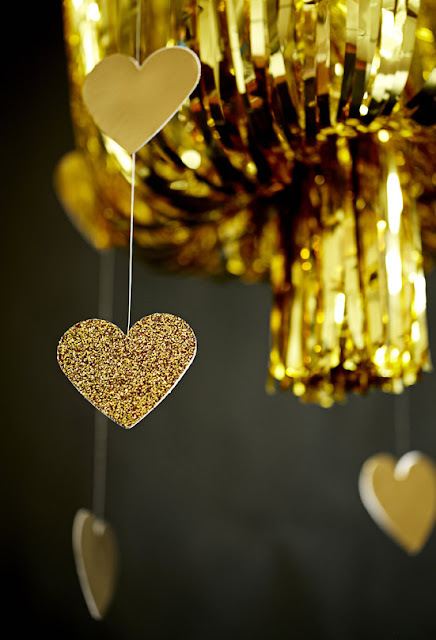 If you are looking for something sparkly for your next party, say an awards show bash you might be throwing, check out how to transform gold foil fringe from the party store into these DIY gold fringe chandeliers. They were inspired by gold foil chandeliers that were used as a wedding decoration. You can check out how to make gold fringe chandelier party decorations over at 100 Layer Cake.